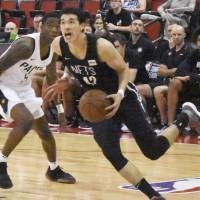 Yuta Watanabe attracted positive attention during the Brooklyn Nets’ five NBA Summer League Games in Las Vegas earlier this month. The prospective NBA player, who wrapped up his four years at George Washington University in the spring, showcased his 3-point shooting ability, defensive versatility, shot-blocking skills and energy in a memorable stretch of eight days. Above all, the 23-year-old Watanabe aimed to prove he belongs while competing against others with the same goal: to be an NBA employee. Speaking to The Washington Post while in Las Vegas, Watanabe admitted he was taking one important step en route to his ultimate destination. To recap, in Las Vegas, the 2017-18 Atlantic 10 Conference Defensive Player of the Year, averaged 9.4 points, 4.2 rebounds, 1.2 assists and 1.6 blocks in 24 minutes a game. In other words, he was productive. “This is really important,” Watanabe said, according to the New York Post on July 9. “Obviously I didn’t get drafted. I know a lot of Japanese fans wanted me to get drafted. But I’ve always been the same . . . getting drafted wasn’t important for me, but this is and training camp are really important. The introduction of the two-way contract before last season enhances Watanabe’s chances of seeing time in the NBA in the near future. Under the current system, NBA rosters have expanded to 17 (two more than the previous maximum number) with the addition of two “two-way players.” League rules stipulate these players can be on the NBA roster for up to 45 days and spend the rest of the season on the team’s G. League squad. NBA scouting director Ryan Blake confirmed that he expects the Kagawa Prefecture native to be in the mix for an NBA job in the upcoming season. 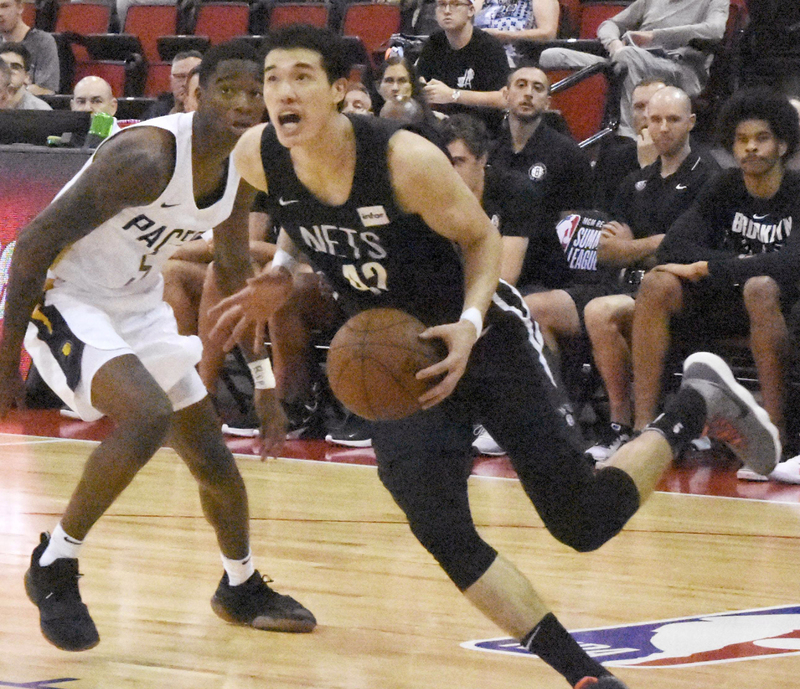 Nets assistant coach Jacque Vaughn, who served as bench boss for the team’s Summer League games, told reporters in Las Vegas that Watanabe’s performance was noteworthy. “He has probably been our most consistent player, practices and games included. I give him credit for that,” Vaughn said after the Nets’ third loss in the casino-filled metropolis on July 11, according to the Brooklyn Daily Eagle. While analyzing Watanabe’s aspirations, Vaughn, a former University of Kansas standout and NBA guard, highlighted the international growth of the game. A reminder of what’s already occurred: Japanese-American guard Wataru “Wat” Misaka appeared in three games for the New York Knicks in the 1947-48 season. He was the first non-Caucasian in the Basketball Association of America (one of the NBA’s predecessors). Then, in 2004, guard Yuta Tabuse, who’s still a household name as a Tochigi Brex floor leader, played in four regular-season games for the Phoenix Suns, becoming the first Japanese-born NBA player.